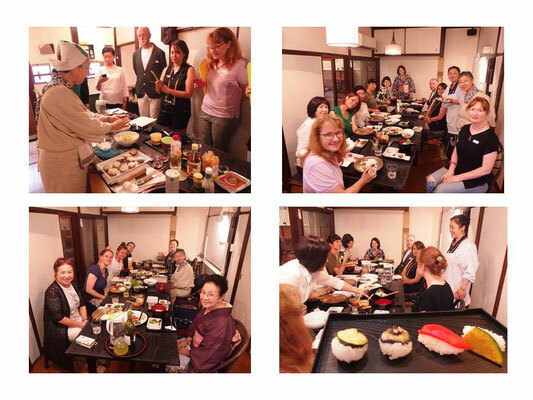 ATELIER CUISINE STYLE JAPONAIS (en Français). Merci de nous contacter par email avec la date de votre préférence. 藤井まり：精進料理研究家。「旬の禅ごはん」など著書多数。Mari Fujii, author of many recipes books about Shojin Ryori including the one in English, “Enlightened Kitchen”, teaches more than 30 years. 笠井栄子 : 北鎌倉「笹の葉」料理長Eiko Kasai, chef of restaurant Sasanoha at Kita-Kamakura, known for the Japanese style vegetable cooking and also the creative fusion ideas. 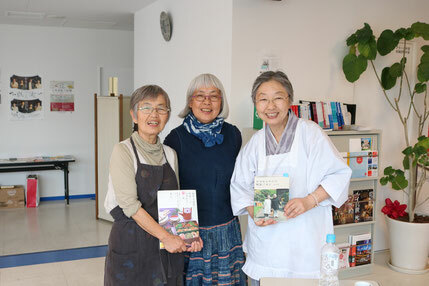 暁美＆五月 :「おばあちゃんの精進ごはん」著者の姉妹 Akemi & Satsuki, authors of 2 books “Obaachan no Shojin Ryori”. 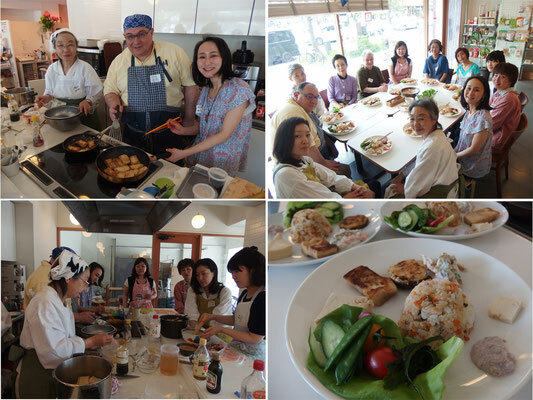 Vol.1 is translated in English “Grandma’s Shojin Ryori – Japanese Vegetarian Home Cooking”. 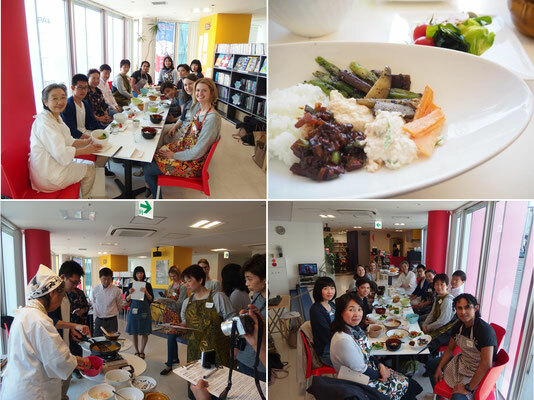 For the program, please click below for Atelier-Cafe Kamakura Meetup page. KAMAKURA> Cafe Sugata. 6 min from Kamakura sta. Original hand made bag with Kimono and Obi. 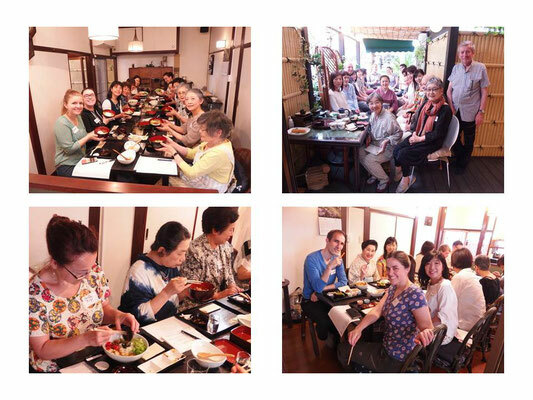 Class in English, every 2nd and 4th tuesday between 10 am and 15 pm or weekends in Kamakura. Lesson fee : 5000 yen for 2 classes of 4 hours. Atelier Cafe Culture propose the activities with the concept of "Food and Communication". 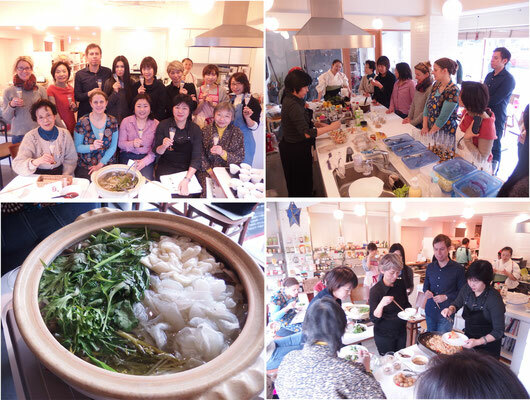 It started in 2006 when the specialiste of Shojin cooking, Mari Fujii came to Paris. 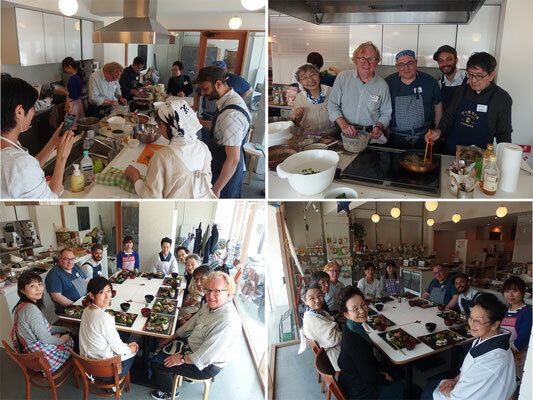 Since last year, we organise the workshop in Kamakura as well. We program the cooking classes with several specialistes to introduce the japanese vegan cooking that people can preparer easily even outside Japan. 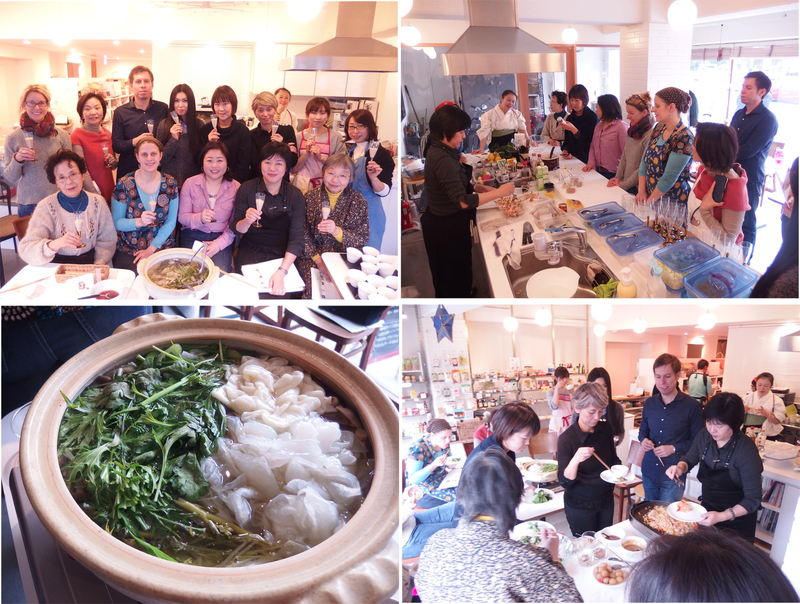 We try to present the cooking ideas that everybody can appreciate together even with the different background.